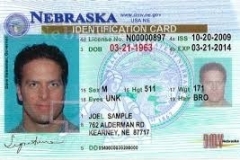 NOTE: You cannot have both a NE driver’s license and an ID card at the same time. 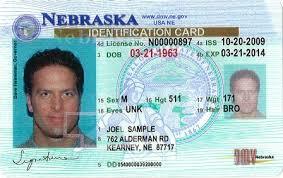 If you have a driver’s license, you must surrender it upon application of an ID card, and vice versa. Over 4 years (if you’re younger than 21 years old): $24. 90 days before it expires (if you’re 21 years old or older). 10 days before it expires (if you’re younger than 21 years old). You’re 21 years old or older. You haven’t changed your name or address since your last card was issued. Your physical appearance hasn’t dramatically changed. You’ll need to visit the NE DMV website and pay the renewal fees. You can order a replacement ID card online as long as you haven’t ordered more than 2 replacements online in the last 5 years.